KG – With Coffee Service being so competitive, what are the market share operator leaders doing that sets them apart from their competitors? KS – Keep in mind that this is a very fragmented industry. On a national basis, no single operator has even a double-digit percentage of market share. So when I consider market leaders, I look at regional and local operators as intently as I look at things on a national scale. The most common denominator in a coffee service operator’s success boils down to solid service. In this industry, solid service is simply the ante and only gets one into the game. The best operators provide passionate customer service backed up by great products supported by appropriate brewing systems. It’s not that complex. The great service also includes multiple touch points and a personal relationship with the decision makers. It’s difficult to fire a friend but much easier to terminate a service contract with an unknown. As our customers continue to be aware of and demand the very best beverages, the market share gap will widen between those that offer specialty coffee options and those that do not. The toughest competitors that I have encountered during my operator career are those that are locally owned and where the owner is active in the business, cultivating long term relationships and making certain that his or her company is uber-responsive to customer needs. Today, second and even third generation family members are running many of those tough local and regional companies. It’s exciting to see both the operator and customer base evolve through millennial management and leadership. KG – You mention millennial leaders. In the coffee shop and specialty world, we see this too. I presume you also see this at the customer level. How does this leadership change impact you as an operator? KS – One observation that I have regarding millennial decision makers is that as a whole, there is more subject matter expertise on coffee and other beverages. There is also a keen sense of awareness in the areas of sustainability and social responsibility. As a result, we operators will serve ourselves well by expanding our knowledge base to be fully equipped to handle more complex interaction. Just this month, while calling on a national account, I saw this first hand as our team presented to a buying group that included two millennial team members. Their knowledge of coffee, of taste nuances, and sustainability certification options paralleled ours. It was quite a dynamic exchange. KG – Being close to origin myself, I recognize the value of having the knowledge you refer to. So where do you suggest that an operator go for help with continuing education and other business needs for that matter? KS – It begins with your roaster. If you are not fully integrated into roasting, your private label roaster partner should be able to create training material to meet your needs. 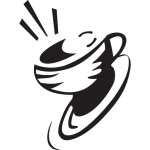 The national and coffee shop brand roasters involved with coffee service can do the same. I find most very eager to provide information not only on their products, but general information as well. I also suggest that anyone in our industry take part in NAMA’s Quality Coffee Certification Program. Mike Tompkins has developed a fun and exciting event that covers a lot of material in a manner that is easy to absorb. These are presented in conjunction with NAMA’s two annual trade shows. Trade show participation is important. In addition to the information at the booths, both NAMA and SCAA provide a wide variety of meaningful educational sessions. Everything is covered from bean to brewer to beverage to business practices. KG – I appreciate your taking the time for this interview. Like you, I see the intermingling of the specialty world and Coffee Service world as a good thing. So, as you look into your crystal ball and anticipate the future, what do you foresee? KS – In the world of Coffee Service, I believe that we will see continued industry roll-up. Given the declared growth positions of several larger operators, I anticipate three or four operators having double digit market share of some proportion within the next five to ten years. But at the same time, there will always be a place for top quality local and regional activity. E-commerce will continue to be a viable sourcing option both for the small businesses not served by most operators as well as the larger businesses that do not desire nor need direct service. More operators will adapt sophisticated e-commerce efforts in order to give their clients the options of method of delivery. The good news is that this also opens the door to go after share of stomach in the home market. Again, our industry lines of definition will blur and expand. All of us in the industry are eager to see how the single cup landscape will change near term and long term. As I mentioned earlier, variety and convenience have been addressed…we’re now in the quest for even better quality. Exciting times are ahead for sure! All in all, I believe that our industry is in a good place. The product offerings have never been more plentiful. Competition is spirited and generally at a high level. We are in a demand-pull market chock full of customers that are more knowledgeable of, and desirous to consume, top quality products which for us as operators should translate into larger invoices and even healthier businesses.